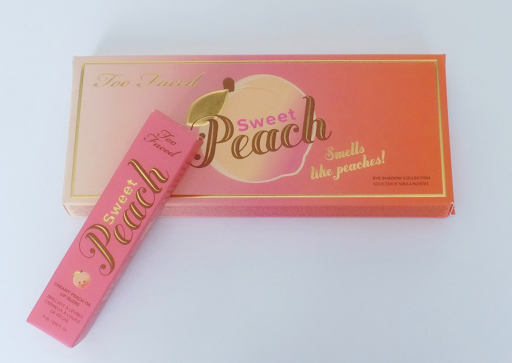 I'm so excited to say that I finally got my hands on the Too Faced Sweet Peach palette! I've been wanting this ever since they released it the first time around but it sold out before I could even go to the store to look for it. I also picked up one of the new lip glosses that came out with the re-release. Let me start off by saying the packaging is so cute! 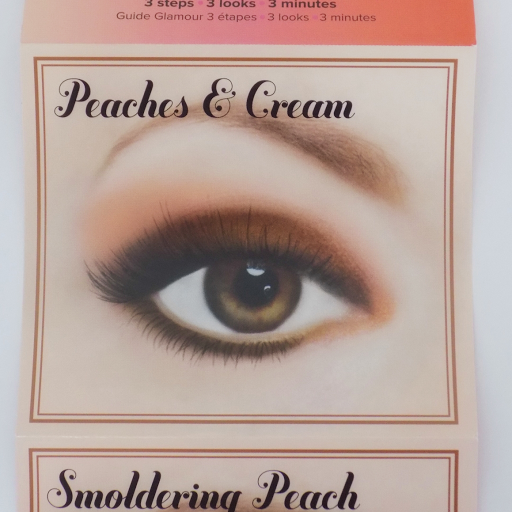 The little peach "mascot" is on all of the products and he's just so adorable. The pinks and shades of peach they used are some of my favorite colors so that probably played a big part drawing me in. 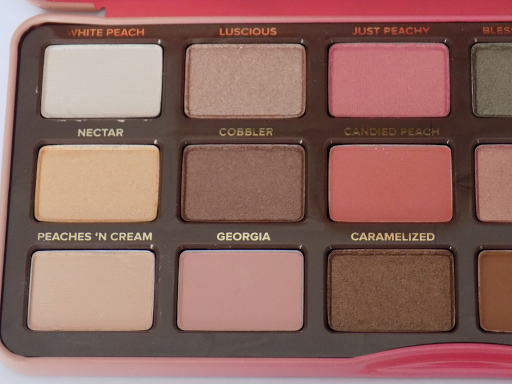 When you first open up the palette you're definitely hit with the peach scent but it's not overwhelming. Personally I like it a little better than the scent of their chocolate line even though I love anything and everything chocolate! 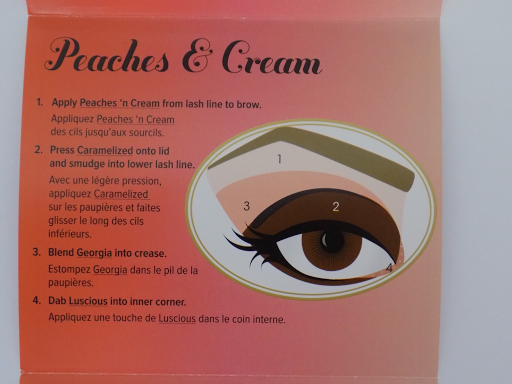 The palette comes with a booklet of three looks that you can recreate with it. 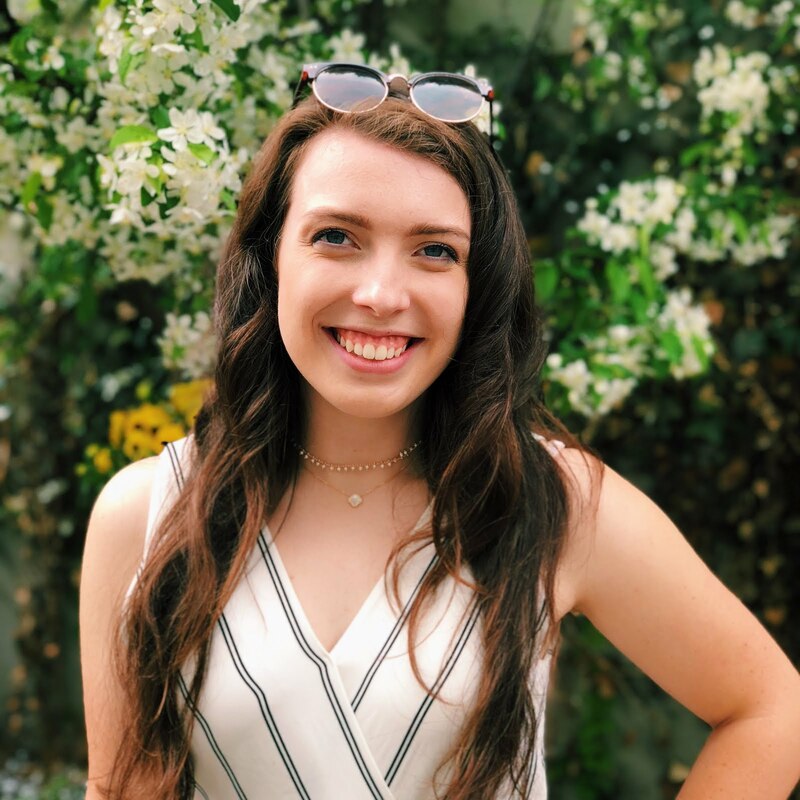 I think it's a really great feature if you're just starting out with makeup or want to try something new but aren't sure how to create a look that will come together nicely. My personal favorite that I've worn is the Peaches & Cream. 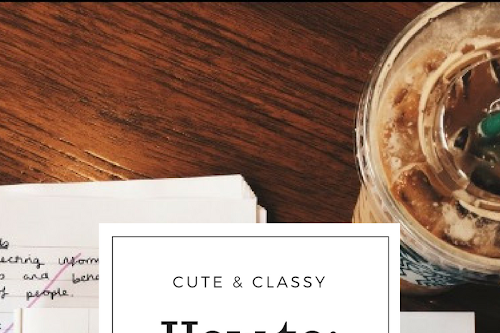 It's a simple look that you can wear every day and switch up a little for different occasions. 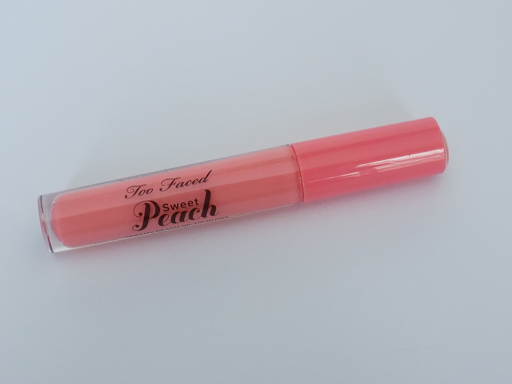 I got the lipgloss in 'Pure Peach'. 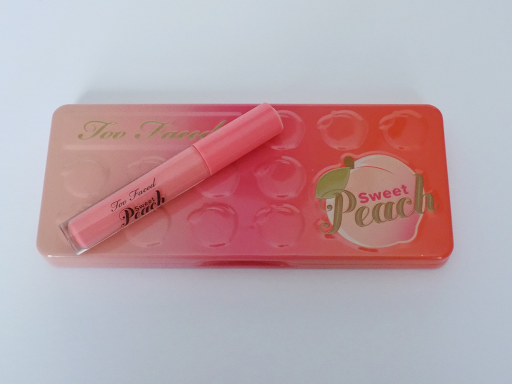 The peach scent carries into the lip glosses as well and call me crazy but I even think they have a faint peach taste. This is a super pretty, toned down Barbie pink color. I've been wearing this every day and I love it! It's super hydrating and very pigmented to the point I don't even wear a lipstick under it. 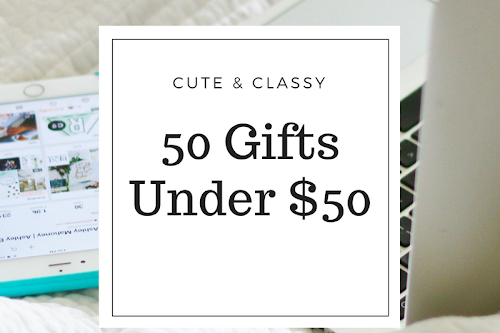 Leave a comment letting what you think of the line if you have any products or if you're planning on buying some. If you like these types of posts and would like to see more like it from me let me know as well. 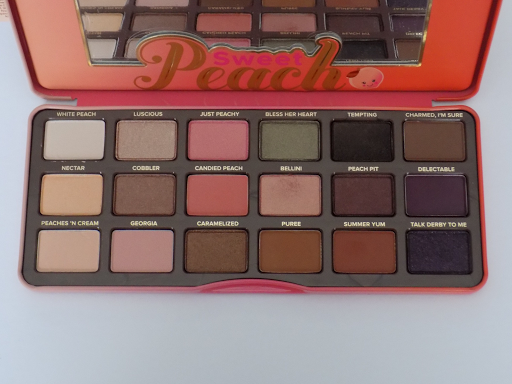 I love love love Too Faced Sweet Peach palette...and my favorite eyeshadow from the palette Peach pit. It just complements my skin tone...Great post! 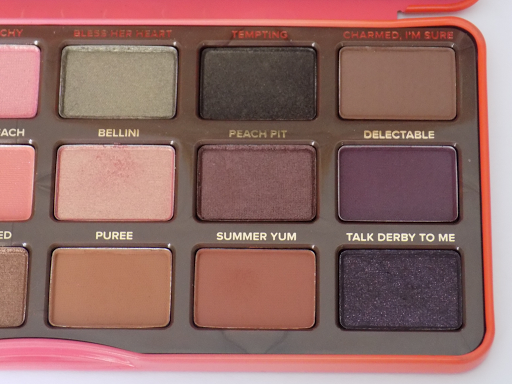 I've wanted to try this palette literally for months! I'm so glad they brought it back, but I wasn't sure I should splurge on myself so soon after the holidays... Might have to, now!